Jonathan Djanogly MP recently welcomed students from a local school to Westminster. 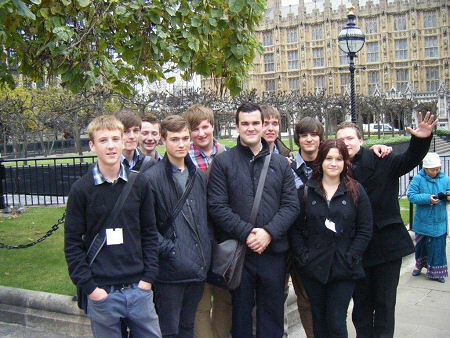 Hinchingbrooke School students visited the Houses of Parliament on Monday 31 October 2011 with their Social Sciences teacher for a tour of the Parliamentary Estate. Following their tour the students also took the opportunity to quiz their MP at a question and answer session with Jonathan Djanogly. Questions were insightful and varied ranging from the role of an MP to Jonathan’s views on a host of current topics. Tours can be arranged through Jonathan Djanogly’s Westminster Office. Please telephone 0207 219 2367 for more information on making the necessary arrangements.